Hello Doodlebugs! 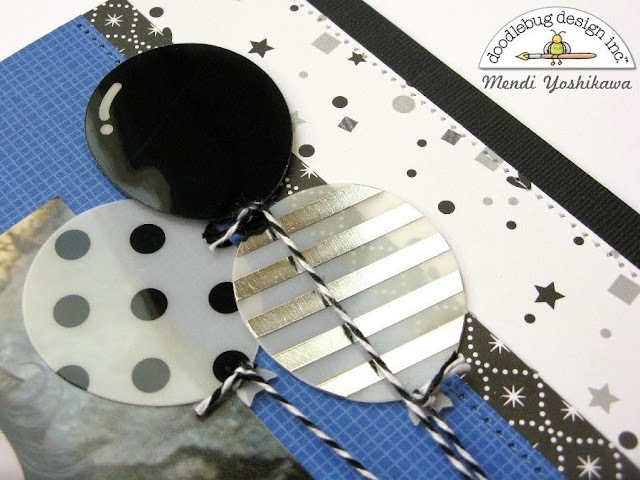 It's Mendi here today with a playful twist on Doodlebug's cool new Hats Off collection for Graduations and so much more. 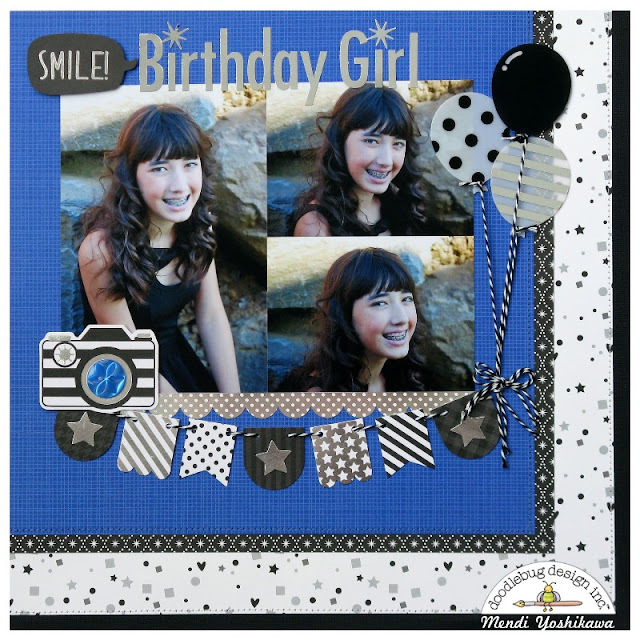 For my project I thought it would be fun to show just how versatile these products really are by using it to create a birthday layout. With this collection comes a brand new "color" of my favorite Skinny Alphabet stickers... Metallic Silver! I paired them here with a word bubble die cut from the odds and ends collection and a couple of star stickers from the icon sticker sheet. The odds and ends pack for this collection is AMAZING! 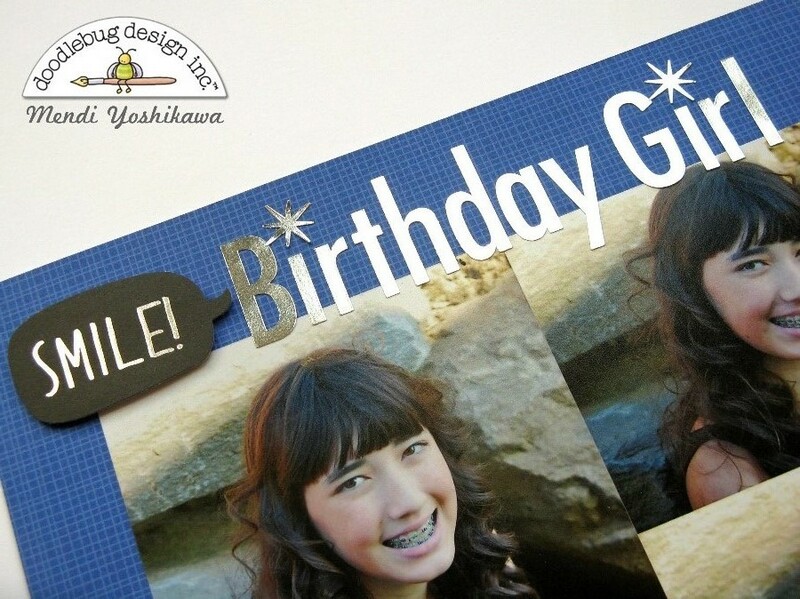 It comes with such a great variety of shapes in clear acetate as well as cardstock and foil. I immediately fell in love with these fun balloons! Aren't they cool? To hide my adhesive for the two white balloons, I added my liquid adhesive behind the stripes and polka-dots which worked beautifully. 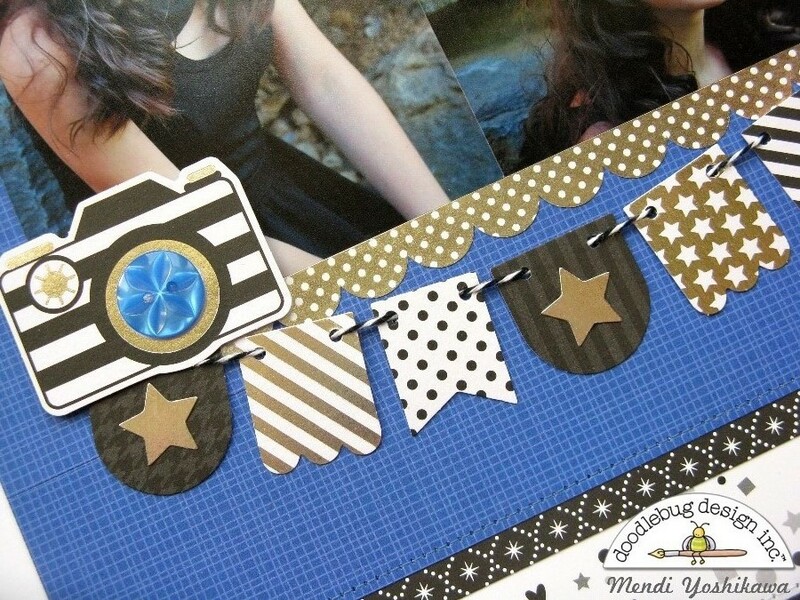 I finished off my page with a simple decorative banner and a camera from the same odds and ends die-cut pack. A simple blue button to the lens adds a splash off color. Love how you used this for a birthday!! !